Don't miss some great casino deals! Enjoy sweet treats for Free Spins or Bonuses, every day! Ready for a new gaming week and some awesome casino deals? 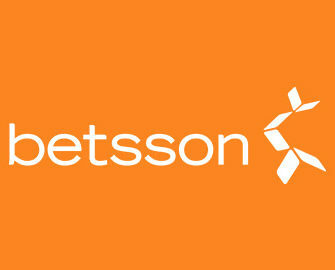 Then log-in to your Betsson account and claim your “Daily Pick”. 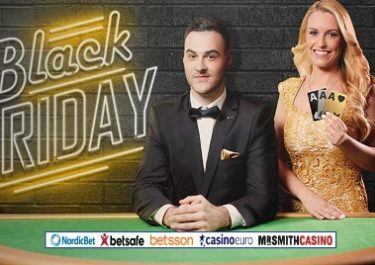 Their own Claw Machine is offering a daily deal for Free Spins, Bonuses and Wager Rewards, available to loyal Betsson players from selected countries. Each day, they can open a new offer on the promotion page and enjoy a generous balance booster for their gaming session. Be it 50 Free Spins, a share of a Free Spins prize pool or a wager bonus, it all is part of Betsson’s mission to give back to their players. Start this week a €10 wager reward. Monday, 18th September 2017: Trolls Bonus – Wager €20 on Trolls Bridge to instantly receive a €10 bonus. WR is 25x bonus within 3 days. Tuesday, 19th September 2017: 5,000 Jungle Free Spins – Wager minimum €10 on Jungle Spirit: Call of the Wild™ to get an equal share of the prize pool. Free Spins will be credited by 18:00 CET on Wednesday. Wagering requirement is 25x Free Spin winnings within one day. Wednesday, 20th September 2017: Golden Cashback – Get a 100% cashback bonus on net losses when playing Goldilocks, up to €50. Cashback will be credited on Thursday with a 5x WR. Thursday, 21st September 2017: Feline Free Spins – Wager minimum €50 on any slot to instantly receive 60 Free Spins on Copy Cats™. Spins must be played before midnight. Wagering requirement is 25x Free Spin winnings within one day. Friday, 22nd September 2017: Ryan’s Bonus – Wager €20 on Ryan’s Rainbow to instantly receive a €10 bonus. WR is 25x bonus within 3 days. Saturday, 23rd September 2017: Sakura Cashback – Get a 100% cashback bonus on net losses when playing Sakura Fortune, up to €50. Cashback will be credited on Sunday with a 5x WR. Sunday, 24th September 2017: Emotional Free Spins – Make a single deposit of minimum €25 to instantly receive 50 Free Spins on Emoji Planet™. Spins must be played before midnight. Wagering requirement is 25x Free Spin winnings within one day.